Say what you want to say about M. Night Shyamalan but, he is without a doubt one of the most inconsistent film makers in Hollywood. He is a man that is simultaneously capable of making hits like The Sixth Sense and Signs. He is also the man responsible for absolute stinkers like the live-action adaptation of Nickelodeon’s superb Avatar: The Last Airbender and the Will and Jaden Smith led disaster After Earth, a walking testimony to the dangers of unnecessary nepotism in show biz. Within his fabled filmography that is similar to Mesut ozil’s form in the premier league, lies some highlights in the form of 2000’s Unbreakable, a film that followed the tale of David Dunn (Bruce Willis), a sole survivor of rail derailment who discovers he has unbreakable skin, super strength and the ability to interpret future events by touching someone. With great performances from Bruce Willis and Samuel L. Jackson who plays Elijah Pierce AKA Mr. Glass, a man diagnosed with Brittle Bone disease but is gifted with insane levels of intellect, Unbreakable became a great deconstruction of comic books and a growing Super hero genre of movies that was on an upward curve of becoming the westerns of this generation. David Dunn (Bruce Willis) is back . 2017 proved to be a resurgence of sorts as Shyamalan introduced the audience to stand-alone horror schlock Split. It featured James McAvoy as Kevin Wendell Crumb (James McAvoy), a man suffering from dissociative identity disorder (DID) who is battling 23 personalities within. The personalities refer to themselves as ‘the horde’ and kidnaps 3 teenage girls as sacrifice to feed the 24th super powered personality within simply referred to as ‘the Beast’. It was a thoroughly enjoyable and at times scary flick that was catapulted to classic status when it was recognized as a secret follow up to Unbreakable. 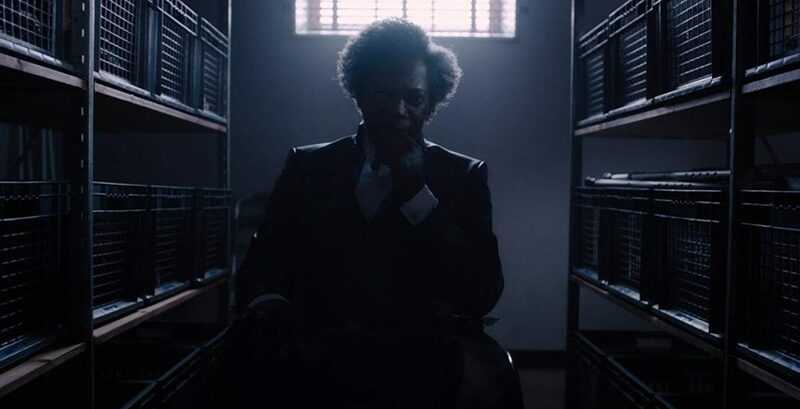 This connection and Split’s success have now put Shyamalan’s planed Eastrail 177 trilogy centered around superheroes back in pole position to get its conclusion as today’s film, Glass aims to successfully bring in the characters of Unbreakable and Split together in a new super-hero and psychological thriller. Glass is set approximately 20 years after Unbreakable and roughly 3 weeks after the events of Split, that ended with Kevin Wendell Crumb being taken over by the Beast and his more dominant personalities within the horde who continues to adopt teenage girls. David Dunn who has accepted his abilities now runs a security business with his son Joseph, now an adult (Spencer Treat Clark). Behind this façade, Dunn also fights crime in Philadelphia as “The Overseer” with his Joseph providing technical back-up. During a routine “walk” Dunn tracks down the Horde and get involved in an intense battle is interrupted when the Police led by Dr. Ellie Staple (Sarah Paulson), a psychiatrist who specializes in curing people with delusions of grandeur, arrest both Crumb and Dunn and take them to Raven Hill Memorial, a mental institution for the criminally insane which happens to be the same one that Mr. Glass is admitted to following his actions in Unbreakable. Staple is now left with the task of convincing or lobotomizing the three men to think they do not have super powers while Elijah takes advantage of his new inmates’ arrival to set his own plan in motion that might put Philadelphia and world in grave danger. Meanwhile, Joseph, Elijah’s mother (Charlayne Woodard), and Casey Cooke (Anya Taylor-Joy) – a survivor of the initial encounter with The Beast also get in on the action to get the three parties in the institution out. With that said, Can Shyamalan pump another classic in a crowded genre that reigns supreme? or will this conclusion be another dud in a career that has one too many? I have to state that I do like M. Night Shyamalan approach to the overcrowded comic book hero genre. 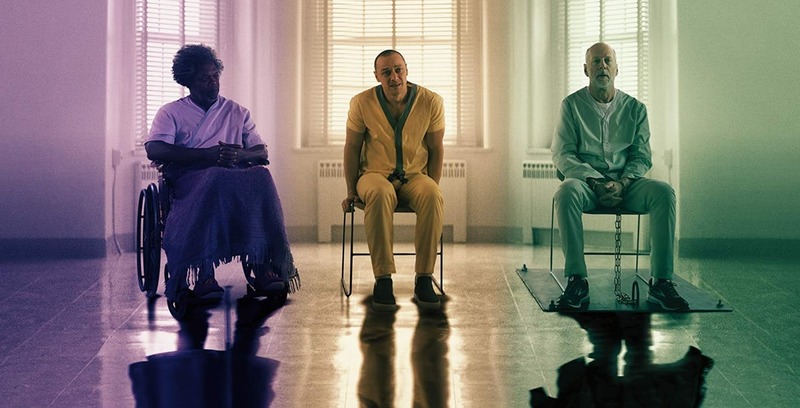 In an age of superhero movies that is ridden with huge budgets, fancy CGI effects and big names, Glass almost takes the opposite route thanks to a rather small budget which forces Shyamalan and his cast to think outside of the box and take a unique approach to the world that displays amazing feats in a grounded manner that makes its audience think these actions are plausible in the real world. Despite what its title implies, Glass doesn’t focus on one character or Elijah as the title will suggest. Shyamalan uses the opportunity presented here to focus the film on Elijah’s beliefs as the film revisits the themes and notions introduced in Unbreakable that extraordinary people have always walked among us and have inspired our myths throughout history, comic books included. It also revisits the conversation that people can discover extraordinary gifts in themselves through credence – and brings it to the forefront. The movie really tries to tell its audience that we should embrace it rather than suppress it and these themes that are introduced are fascinating enough to carry Glass through its first two-thirds. Despite this I still feel that the movie has issues executing this facet effectively at times. The movie is arguably at its best during scenes that highlights Shyamalan’s skill of creating suspense through his camerawork and editing. Its slow burn approach to fleshing the characters is thoroughly entertaining for the most part and the film has a claustrophobic that are surprisingly thematic thanks inventive shot choices. A huge positive about this film are the performances of the lead actors. 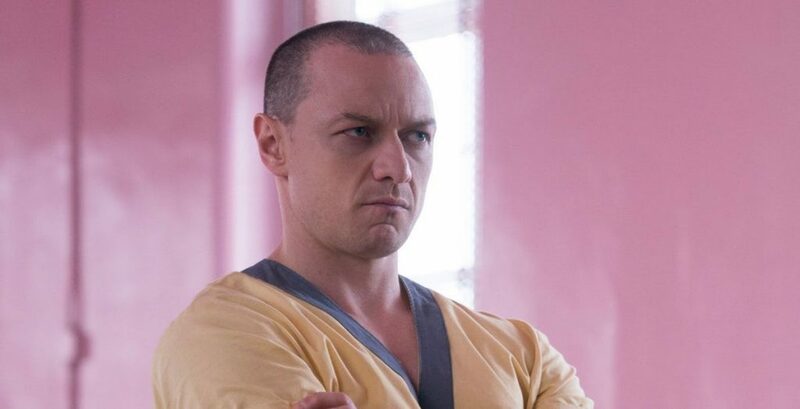 James McAvoy continues the fine form from what is arguably his best performance to date in Split as he continues to have fun with the role of Kevin Wendell Crumb and the members of The Horde. He expertly reprises crowd favorite personalities like Hedwig a 9-year-old who loves hip-hop, Barry an OCD obsessed no nonsense dude to the Beast who often leaves a trail of destruction upon his awakening. He even gets the opportunity to introduce new ones like a Spanish speaker who wants no part in the plans. With the way McAvoy effortlessly changes personalities at a drop of a pin he tends to be at the heart of the films funniest and most intense moments. Watching Samuel L. Jackson, you can tell that he relishes the opportunity of reprising Mr. Glass especially when the film allows him to overact and make affairs more theatrical. 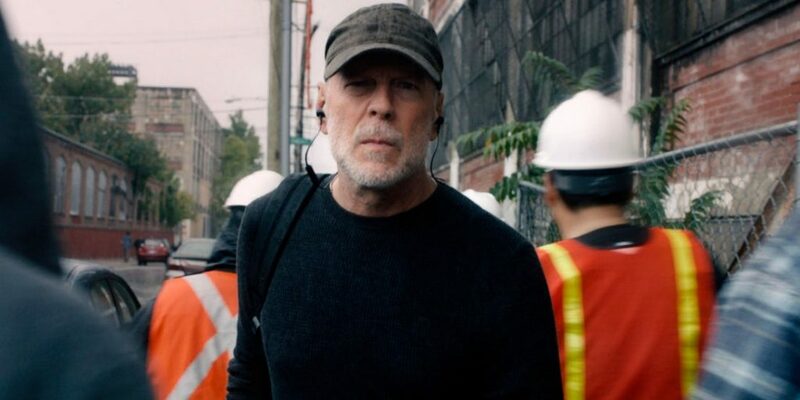 Bruce Willis finally wakes up from auto-pilot and commits to his role which in turn gives us one of his best performances in a long time. Willis portrays Dunn as a wiser and older man who has accepted his gifts and uses them for the greater good. Out of the three leads he is probably the most grounded of the lot and can be seen as the straight man of sort. While I enjoyed a lot of aspects of Samuel L. Jackson performance. I feel that his character constantly committed the cinema sin of telling rather than showing. I understand the significance of such during Unbreakable as the genre was still a niche at the time but we now in 2019, a year where the genre is producing films in abundant like westerns and the audience is now at the stage they can come to the same conclusions without any exposition dumps. Some of the films action set-pieces don’t particularly land well and look a little tacky. Then again some of it doesn’t lie at the fault of the direction but the fact that the movie has a rather small budget. 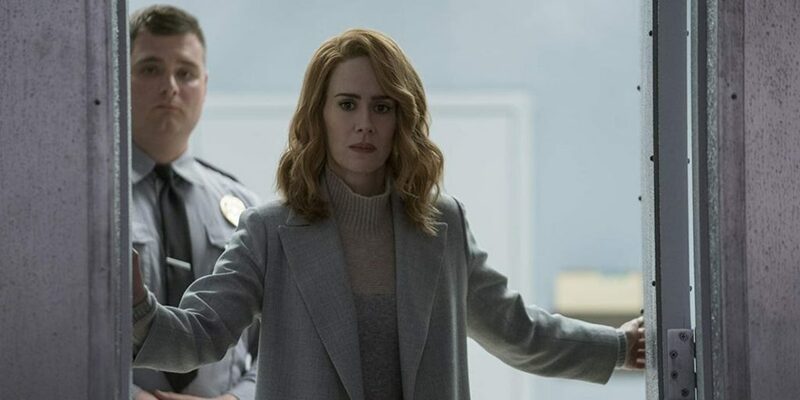 With the exception of Sarah Paulson’s Dr. Staple, who constantly challenges the leads beliefs in their power, the supporting cast in my opinion don’t add much to the proceedings and fill like surplus. This is a shame particularly in Taylor-Joy’s Casey Cooke, a survivor of McAvoy’s antics in Split and the protagonist in said movie. She along with Joseph and Elijah mother are just present as vehicles to move the story forward and not offer any emotional impact which is disappointing as the aforementioned characters in Unbreakable achieved the desired result back then. Everyone knows that a staple of Shyamalan films are its twist. While it’s no different here. They are rather predictable and not very shocking to say the least which is a missed opportunity. Glass concludes Shyamalan’s superhero movie trilogy in a manner that is simultaneously entertaining and frustrating despite great performances from its lead actors and its interesting and unique take on the superhero genre.